REALIGNED 1.5+ ACRE LOT - LOCATION-LOCATION-LOCATION. Just resurveyed and recorded. Right across from Back Creek Golf Course and only a few miles to the Maryland horse farms, the Chesapeake Bay and all of its tributaries for boat lovers, plus the quaint town of Chesapeake City with its boutiques and fine dining. 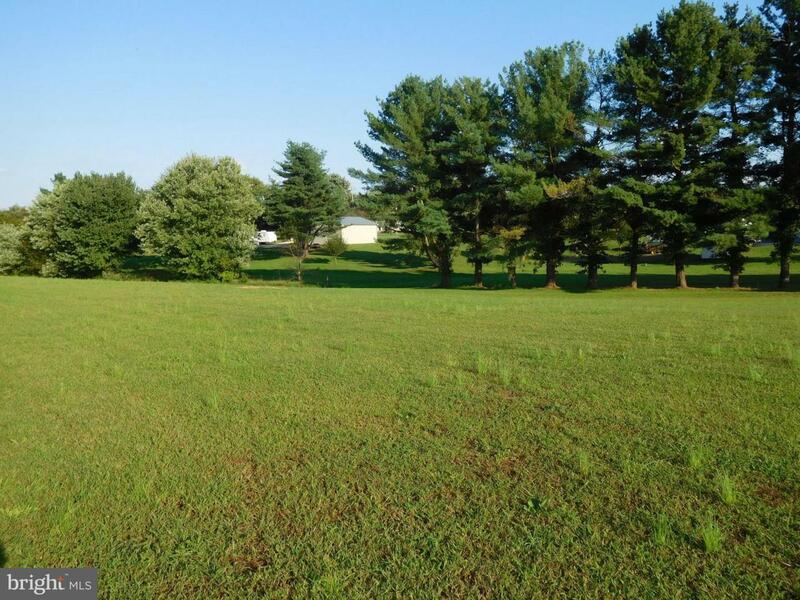 Lovely large 1.56 acre cleared and mowed building lot with a gentle slope toward the rear. Dotted with a few pine trees. Just perced for a standard gravity septic system. Public water and natural gas available. No builder tie-in. Ready to build immediately. Adjacent 1.64 acre lot also available.